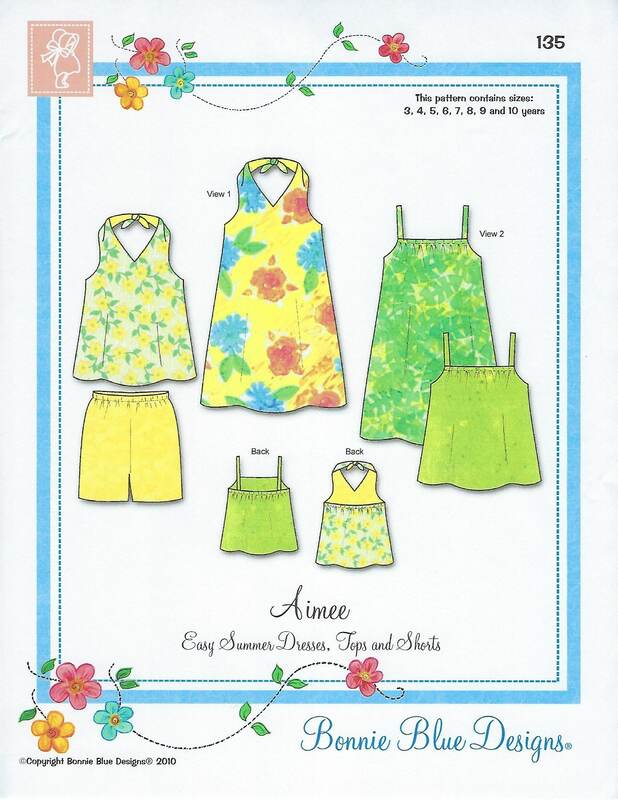 Package includes patterns and instructions to make Easy Summer Dresses, Tops & Shorts. Two styles of unlined summer dresses with tops and shorts variations. View 1 dress/top ties at the back of the neck. View 2 dress/top has shoulder straps and elastic casing. Both styles include an easy fit elastic casing back. Shorts included for multiple variations. No buttons or plackets. 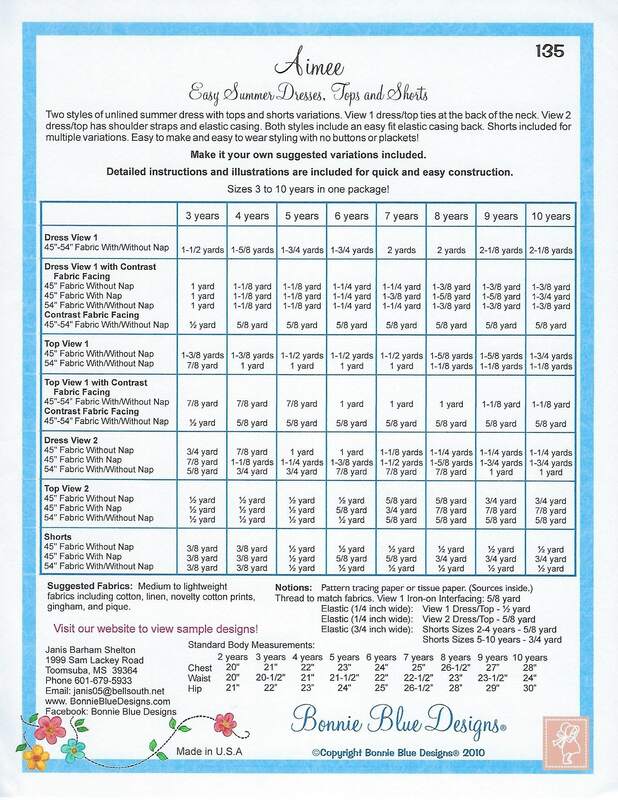 3 yr, 4 yr, 5 yr, 6 yr, 7 yr, 8 yr, 9 yr, 10 yr - All sizes included in one envelope.